Our women's Lifeguard Board Short is proudly made in the USA by Water Safety Products Inc., These shorts have a conservative and professional style. Produced under strict quality control standards, they are constructed of durable 4-oz. 3-ply breathable nylon with Teflon® finish. You can expect superior drying time and oil/chemical repellency. The elastic waistband allows for a wider range of fit, providing flexibility when planning your uniform order. Item is stocked blank with no logo; orders with logos require an additional 2-3 days processing time. 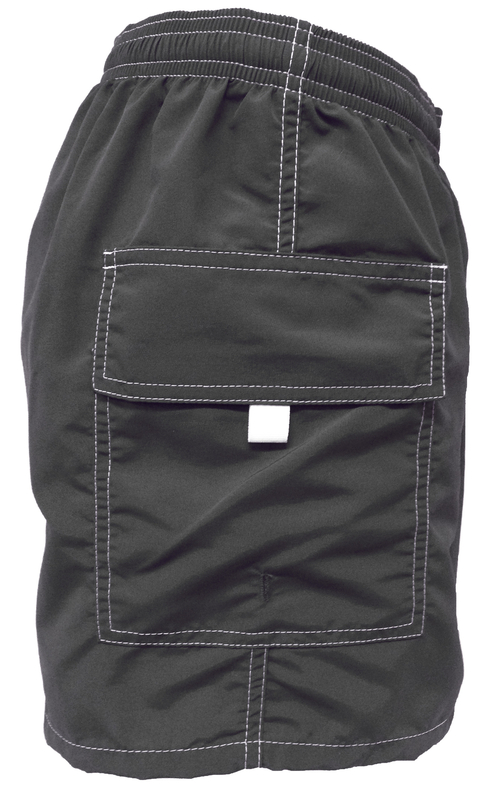 Waist 24"-25" 26"-27" 28"-29" 30"-32" 33"-34 35-36" 37-38" 39-40" 41-42"
Pros: Truly indestructible shorts! Have had multiple pair of these shorts since 2004 for both life guarding and personal use and they are AWESOME! Holds up in chlorine, sun, and salt water environments! Great fit, flexibility, durability! Love this product!